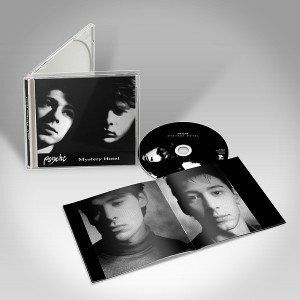 The fine label Artoffact Records has announced the authorised reissues of the three 1980s albums that introduced the Canadian electropop act Psyche to the world on CD and on vinyl. To get an overview of all available releases (including a huge fan pack), check this link. EU orders for the vinyls can be placed right here. Psyche was formed by brothers Darrin and Stephen Huss in Edmonton, Alberta, named after the B-Side of Killing Joke’s Wardance single as well as being chosen for the meaning of the word. The band’s debut performance was on December 13, 1982 with the late Dwayne Goettel (Skinny Puppy) on additional keyboards. Although Psyche is now based in Germany, during the 80s the band was located in Canada from where singer Darrin Huss and his brother/musician Stephen Huss (who unfortunately died last Summer) would conquer the electropop world in no time. Available now are the CD versions and vinyl versions. 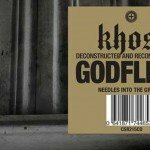 We decided to talk with Darrin Huss about each of these 3 amazing albums which finally see a well deserved reissue and which have been part of the upbringing of almost the complete Side-Line staff. During 1983-85 Stephen and Darrin Huss would record what would become their debut album “Insomnia Theatre”. They self-released the LP in 1985. The album’s style mixed dark electronics, new wave, industrial, and horror in ways that were quite shocking to its first Canadian audience, and which today are seen by synth music aficionados as a master work. The album held such classic cuts as “The Brain Collapses”, “Maggots”, “Eating Violins” and “Children Carry Knives”. The album also made its way to Europe where it was licensed by the pioneering French New Rose label. The Artoffact Records reissue is completely remastered and includes several bonus tracks which have never before been released. The base of the recording is the original Canadian LP Mix, with the addition of several tracks from the New Rose 1985 edition, plus bonus tracks from the “Contorting the Image” EP (1986) and the very rare “Unleashed” cassette (1988). Singer Darrin Huss personally selected all the bonus material, including the never-before-heard “Ice” and “Mind Over Matter”. Darrin:“Psyche’s debut has now been released several times, the biggest edition being the “Insomnia Theatre” Box on VOD Records in 2011. This time however, I have attempted to make a definitive release containing only the recordings from 1983-1985, and the album cover is now in fact the actual photo of my brother and I that I found in his collection in Canada after his passing away last year. as also heard in “Children Carry Knives”. Side B adds “Wrench” as it was recorded even before the debut album, and later included on the New Rose release of “Insomnia Theatre”. This reissue can now be ordered right here. Released 30 years ago on the New Rose label, Psyche’s “Unveiling the Secret” was lauded by fans and praised by generations of musicians including Sven Vath, Joris Voorn, and Eskil Simonsson (Covenant). The leading tracks included “The Saint Became A Lush” (which appeared on Trevor Jackson’s famous “Metal Dance” series), “Prisoner to Desire” (remixed by the famous Joseph Watt of Razormaid fame), “Prisoner to Desire”, “Lord Unleashed”, and several more. The Artoffact Records reissue is completely remastered and includes several bonus tracks which have never before been released. Darrin Huss again personally selected all the bonus material, including a rare Razormaid mix and the never-before-heard track “Lock The Door”. Darrin:“A re-release of this album took place on CD in 1999, but it has never really been put together remastered and with all the single mixes together until now. This latest release on CD and Vinyl also contains a rare black and white press photo taken by Alain Duplantier in Paris for New Rose. We decided to make all 3 albums black and white, and since this was the only album with a color photo at the time, I replaced it with this official press photo for consistency. It was a scandal at the time to have us on the cover, as indie bands usually have obscure graphics, and people were surprised that a “Horror Synth-Pop” act would suddenly advertise themselves rather than an image to represent the music. However, we did this consciously. As Skinny Puppy became popular with a similar sound and image, we moved on to a more Electro-Pop approach, and broke out of the Goth/EBM mold with “Unveiling The Secret” and “Prisoner To Desire”. In 1987/88 Stephen and Darrin Huss recorded what would become “Mystery Hotel”. The final album would be mixed, and produced at Synsound Studios in Belgium by Dan Lacksman (Telex) with additional mixing and engineering assistance by Stephan Krämer and Cookie. Following the success of “Insomnia Theatre” and “Unveiling the Secret”, Psyche turned to a classic wave sound on their third and most polished album. The album is in many ways the darkest Psyche album, just listen to tracks such as “Wake the Flood Unconscious”, “Nocturnal Passenger” and “The Outsider”. The Artoffact Records reissue is completely remastered and includes several bonus tracks which have never before been released or never released before on CD. Darrin:“The third in Psyche’s somehow unplanned “trilogy”. I call the albums the Holy Trinity of Dark Synth-Pop. All 3 have certain songs that stand the test of time, and awaken strong emotions in listeners just discovering our sound. I have to say, this was the hardest to work on as “Dreamstreet” brought me to tears every time I tried to perfect this already beautiful sounding instrumental. We played this at my brother’s memorial, and it reminds me most of him, and our time together recording, and mixing at Dan Lacksman’s studio in Belgium. The album was original recorded at Garage studios in Paris where we had done “Unveiling The Secret” previously, but we somehow wanted to sound even more “glossy” at the time as most 80s bands were going from their rough beginnings to a more “radio friendly” sound. We spent ages on “Uncivilized” and I rewrote the lyrics several times, but finally it became the debut single, and seemed to be getting us further towards the dream of bringing Psyche’s alternative Synth-Pop to a wider audience. The reaction to this album at the time was fairly mixed. For me the 2 highlights are “The Outsider” and “Eternal”. Those have become the defining sound for what Psyche does when we go Pop, but keep our style. “Uncivilized” is equally popular, and at the time “Nocturnal Passenger” was the most requested song live. I think we advanced a little quicker than most of our fans were ready at the time, and whatever wasn’t Dark EBM was too soft for them. “Eternal” managed to get radio play, and we made our most expensive video with a production team in Toronto for that one. Somehow the song is magical, and the appreciation grows with every new listener. For this re-release I have included again the Razormaid mixes, B-Sides, and the Live EP that originally came with the limited New Rose release. The demos of Stephen and I practicing some of the songs from this album will be added as a bonus download. “Wake The Flood Unconscious” is also one of the most original things for a synth-pop band to do. Psychedelic rock on Synth. We were inspired by Soft Cell’s Hendrix Medley, and listening to The Doors, so we thought, why not make our own song in that style? 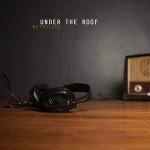 With all three albums, it’s this breaking down barriers between various genres that makes Psyche stand out from the average. We had idols, and favorites, but we always wanted to do things our own way, and I am proud to have created a small piece of musical art in my lifetime, that still carries on to this day.